• Dentale Portishead receives praise from the CQC! • Dentale joins forces with Oracle to train dentists and offer patients a cheaper option for treatment. For further information call 0330 244514 or email training@oracledental.co.uk. 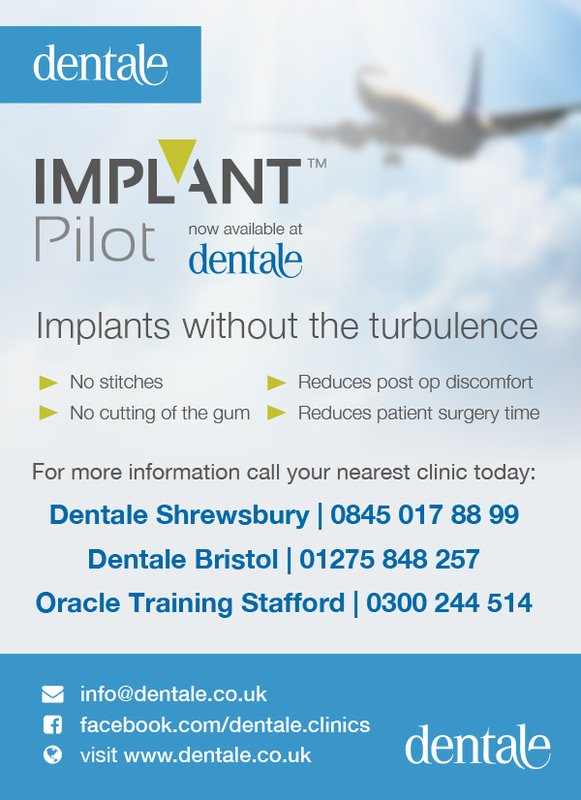 • Guided surgery is now available across all of Dentale and Oracle Training clinics. Calls to our 0845 number will cost 2p per minute plus your phone company's access charge. All calls recorded for quality and training purposes. Note: Fee applies for dentist call-out.